There is nothing that is more urgent for Christians than to grasp and understand the teachings from Scripture on spiritual warfare. 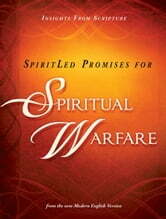 We are at war with a supernatural evil spearheaded by Satan himself, and it is personal. · Praying for miracles, wonders, healing, and more! This is a fight to the finish with life and death hanging in the balance. When God calls you to spiritual war, arm yourself with His promises that provide the bold assurance that you can be more than a conqueror!